Before I start the “proper obituary,” I want to say a few personal words. It is with profound sadness that I write this obituary. 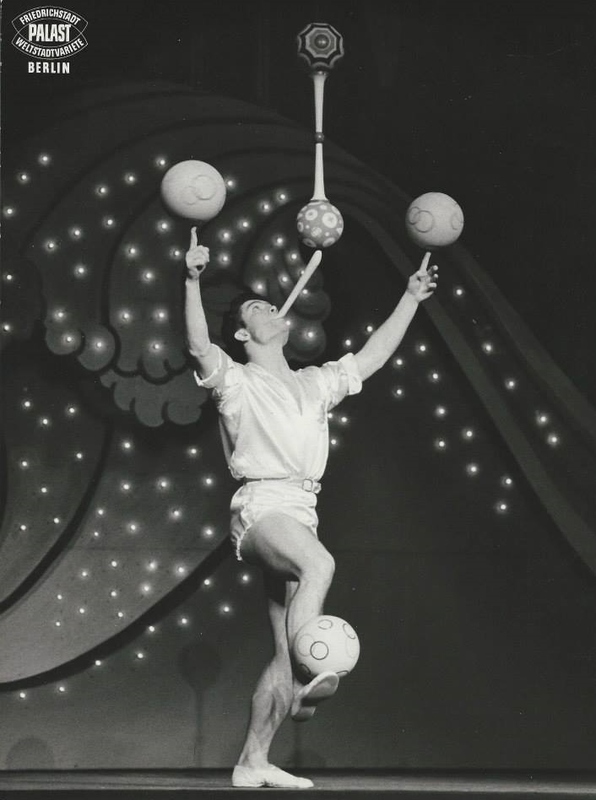 Ernest Montego was the first juggler I saw after I learned to juggle. 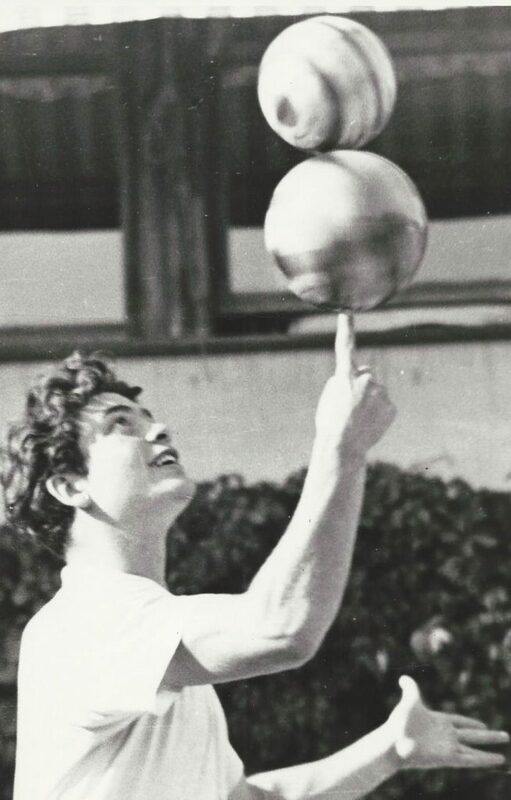 He was my inspiration and favorite juggler for more than thirty years. In the last few years, he was also my friend. We would chat on Facebook and talk for long periods on Skype. 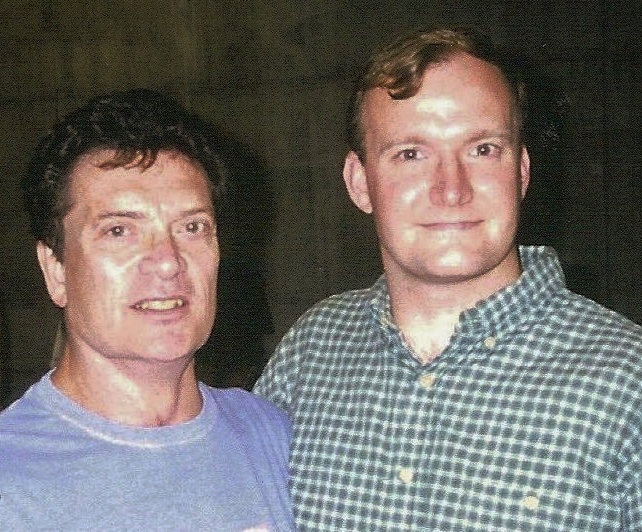 He told me great stories of his career and was a huge support in my work as a juggling historian. 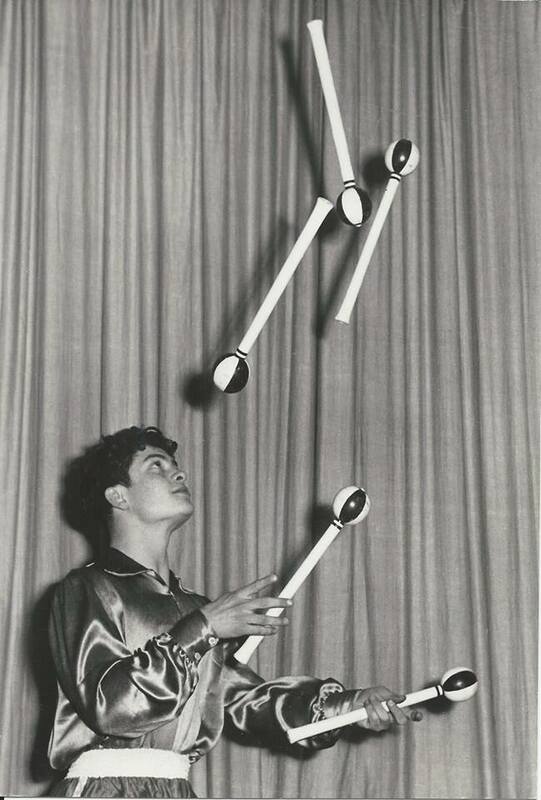 He even called me “the Francis Brunn of juggling historians.” He was also one of the first legendary jugglers to send me props for the juggling museum. I will miss him dearly, but I hope to celebrate his life and career in the following paragraphs. I know I’m not alone in saying that my thoughts and prayers are with his wife, Lorena, as well as with extended family and friends. This account of Ernest’s life is very long, with many photos and videos, but I encourage you to read and watch everything. You won’t be disappointed. Ernest Montego was born Ernst Kuhn in Aschaffenburg, Germany on June 22, 1936. His mother was a swimmer and his father was a high diver. They never married and Ernest grew up never knowing his father. At the age of 12, he went to the cinema to see the film Tonelli. 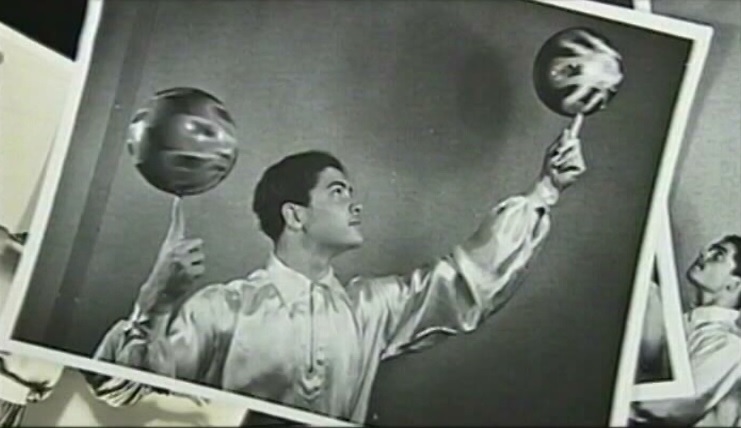 In that film, he saw Francis and Lottie Brunn performing their early juggling act. 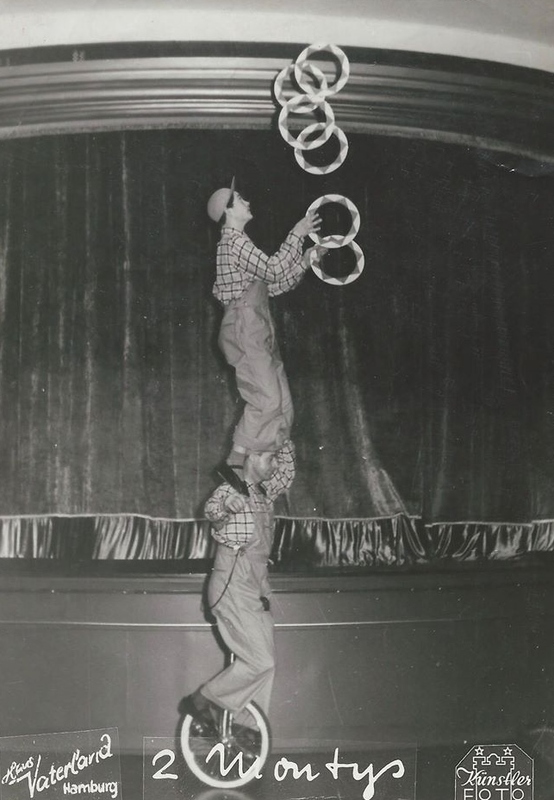 Ernest was fascinated with the juggling he saw and decided on the spot that he would become a juggling artist. 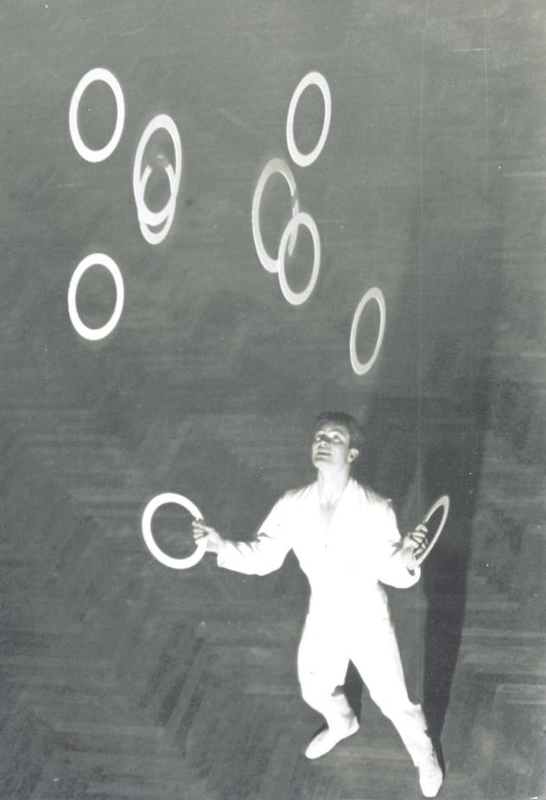 He went home and cut out cardboard rings and borrowed swinging clubs from a local gymnasium and taught himself how to juggle. To quote Ernest, “People started saying, ‘No, he’s not starting it, too. Surely not! '” He went and asked his mother what they were talking about. 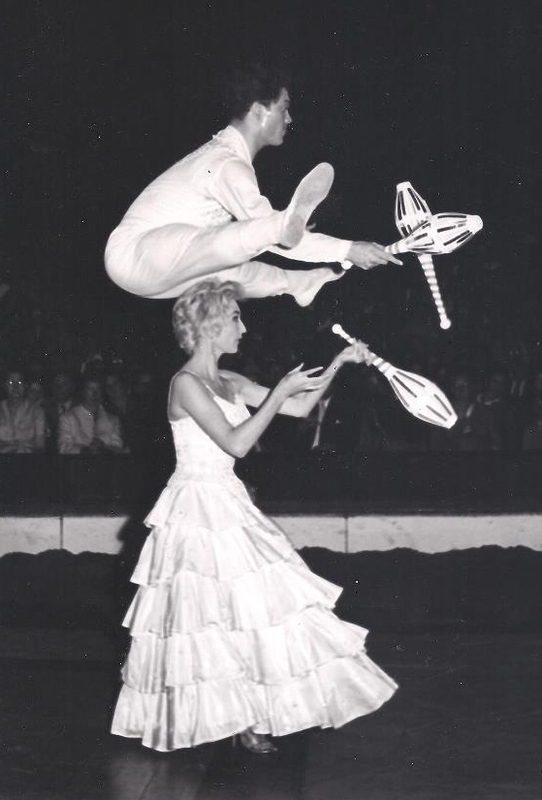 She told him that he had a half-brother and half-sister who were world famous jugglers – Francis Brunn and Lottie Brunn. 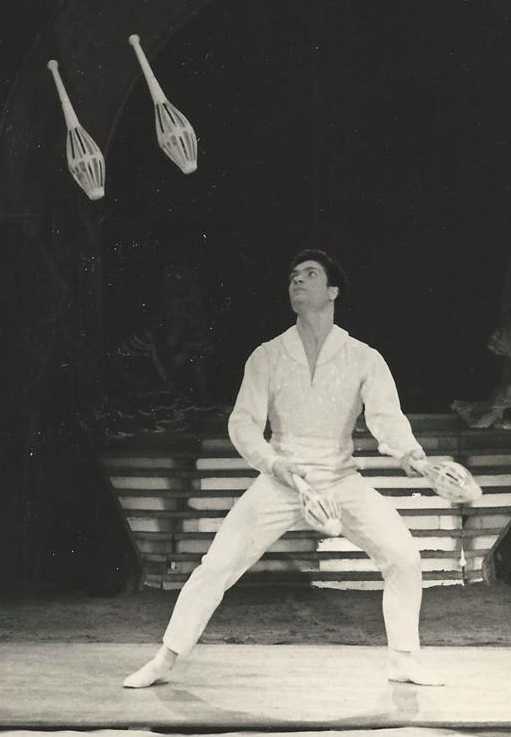 The very jugglers who inspired him to become a juggler turned out to be his half-siblings. 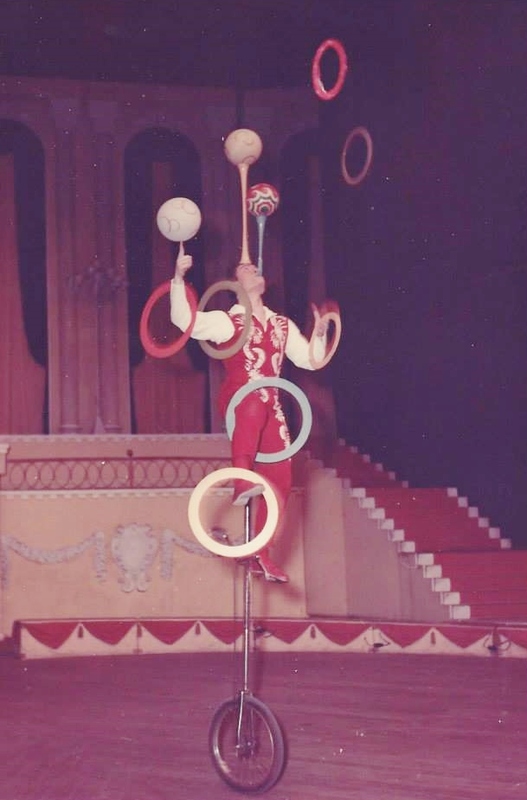 Ernest learned quickly and was juggling 7 rings and 4 clubs after one year. He also studied ballet and discovered a great talent for it as well. The combination of these two skills would become a hallmark of his work as a performing artist. 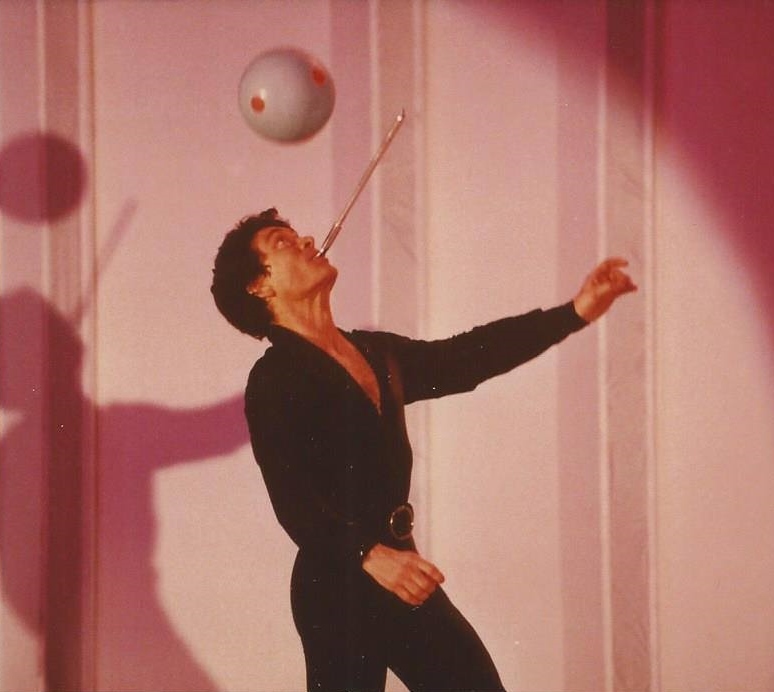 Ernest also learned ball spinning, balancing, combination tricks, and a variety of other skills. He began his performing career in 1953 in the Middle East, starting in Istanbul, Turkey. He was partnered and assisted by Annerose Vollmer. 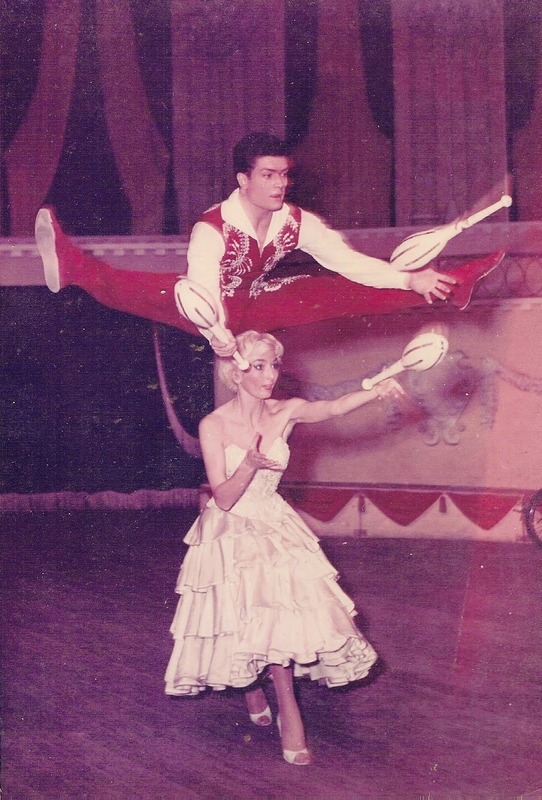 Ernest and Annerose toured the Middle East for four years, working as dancers in a show as well as performing the juggling act. At this time Ernest was performing under the name of Ernest Bryman. He practiced all day, every day, and performed every night. This is how he developed his amazing act. Ernest’s act changed a bit over the years, but many elements remained anchors in the act. 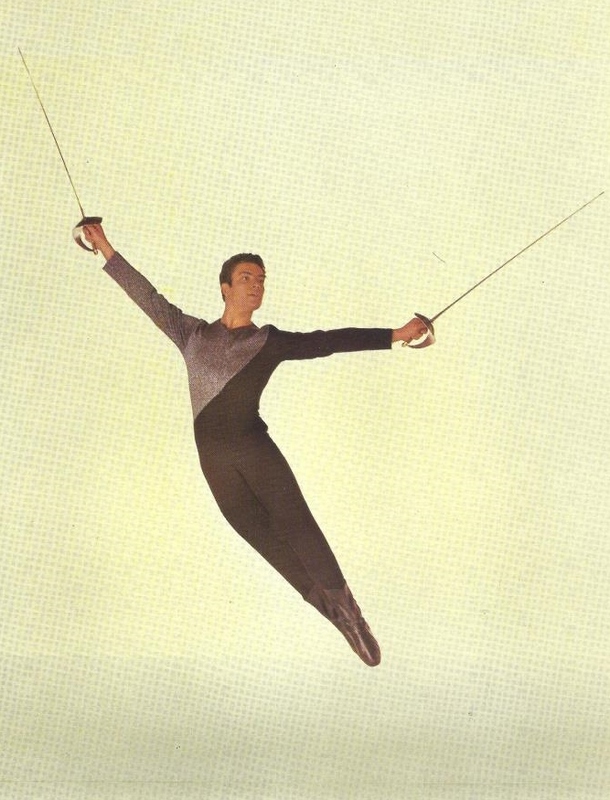 He would almost always include three and four clubs, including four clubs juggled in very wide splits. In practice, he could do 6 club splits! 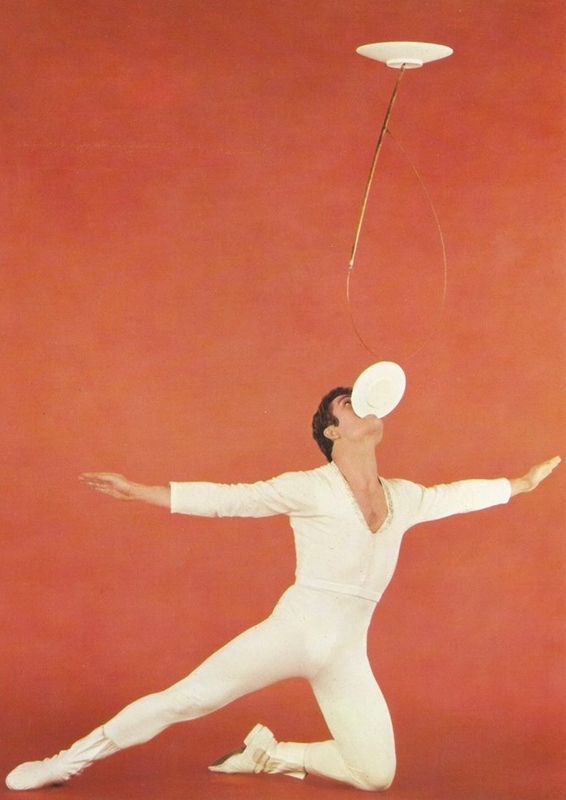 The act usually included ball and mouth stick work, lots of incredible ball spinning, and one of several different balance tricks, which included sword on a dagger held in his mouth, plate on a wire oval spun on a plate held in his mouth, and a ball / pedestal / ball tower spun on a mouth stick while spinning balls on his fingers and a ring on his ankle. 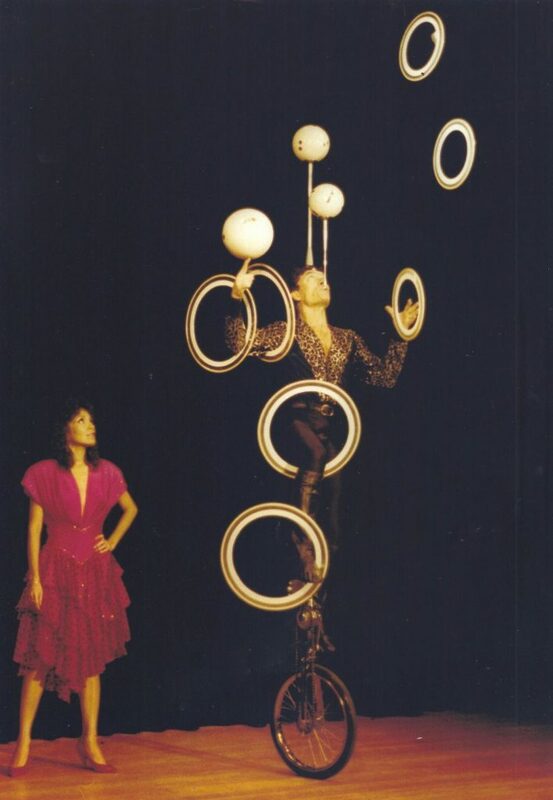 Other tricks or routines he performed included 8 rings, 6 rings while balancing a ball on a head pedestal and spinning a ring on his ankle, three torches, and 4 large balls while head bouncing a fifth ball. He took the stage name Montego. He would speak of Montego in the third person. Off the stage he was Ernest, or Ernie to friends, but the juggler on stage was Montego. 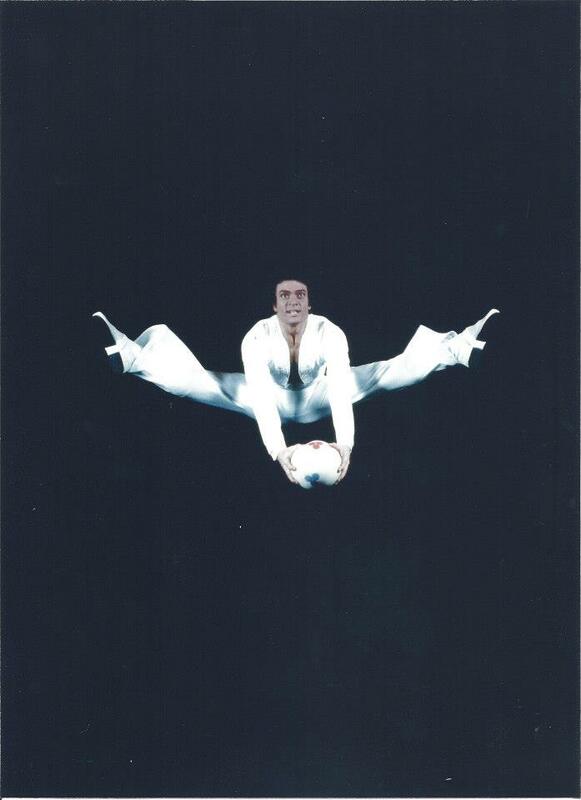 Montego’s act had two signature tricks. The first was his leaping steal of three clubs from Annerose. This was the only juggling she did in the act. Ernest had seen a photo of the Four Philips doing a leapfrog steal and decided that the trick would be a great addition to the act. What he didn’t know is that the trick is done by the juggler in the rear pushing off of the front juggler’s shoulders in order to leap high enough to make it over the front juggler’s head and steal their clubs. Ernest and Annerose learned the trick with no push off. Ernest’s ballet talent and gymnastics background allowed him to leap high enough to do it without touching Annerose at all. No other act has ever done it this way. 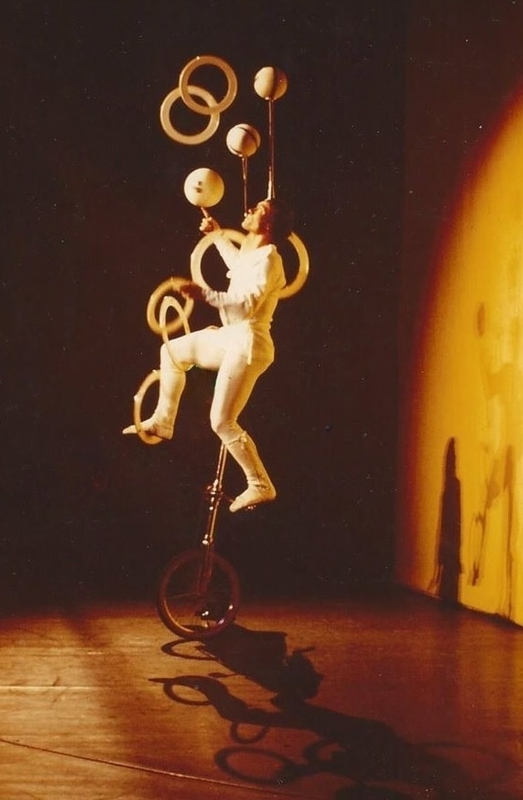 The other signature trick of Montego’s act was the full Brunn Finish on a giraffe unicycle. 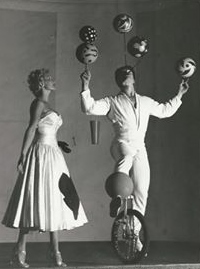 This is often cited as the greatest juggling trick of all time by many jugglers. If it is not the greatest, it is certainly one of the most astounding ever. Montego demonstrated up to ten rings, tying the world record at that time, and worked on 12 in practice. Ernest and Annerose toured the world with their act. At the age of 25, during a stopover from Australia to Germany, Ernest finally met his half-brother Francis in Las Vegas and convinced him that he was indeed a part of the family. Up until that time, Francis Brunn had assumed that Montego’s claim to be his half-brother was merely for the sake of publicity. However, Ernest’s very strong resemblance to Francis’ father caused him to call his father and learn the truth. Ernest and Francis traveled to New York City and Ernest finally met his father. Ernest would later get to know Lottie and her family. Michael Chirrick, Lottie’s son, conveyed a story regarding Ernest. In 1975, Michael was performing in a show in Miami and Ernest was passing through for a few days before his opening in Aruba. Montego watched Michael work and said that he should do the Brunn Finish. Michael Chirrick agreed that he needed to work on it, as it would be a good addition to his act. The next day Chirrick and Montego went to a few hardware stores and Ernest picked up a few things. A day later he had made Michael a mouth stick and a head pedestal that were put together so well that Michael couldn’t believe it. There were even ball bearings so a ball would spin on both of them. Michael was astounded that Ernest put these two things together overnight in a small apartment in a strange city. Michael said that they were so well built and sturdy that it was like they were made in a machine shop. Ernest made many of the props he used in his career and was very careful to treat his props like the important tools of his trade that they were. Montego’s career took him all over the world. 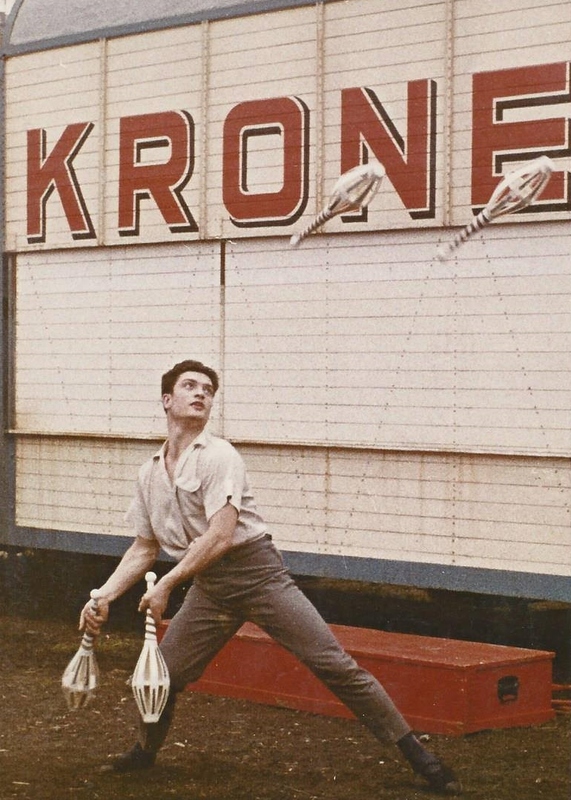 He worked in Circus Krone starting in 1957. 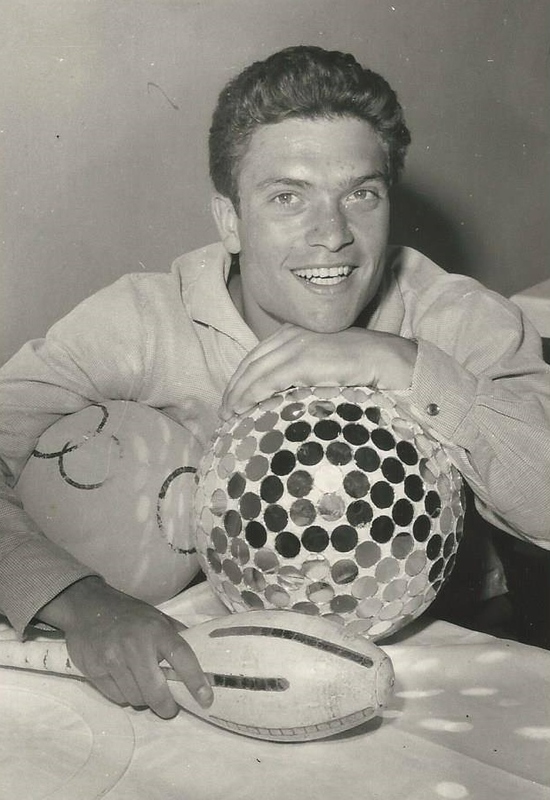 In 1959, he starred in A Ball Rolls Around The World, a play about the famed juggler Enrico Rastelli. 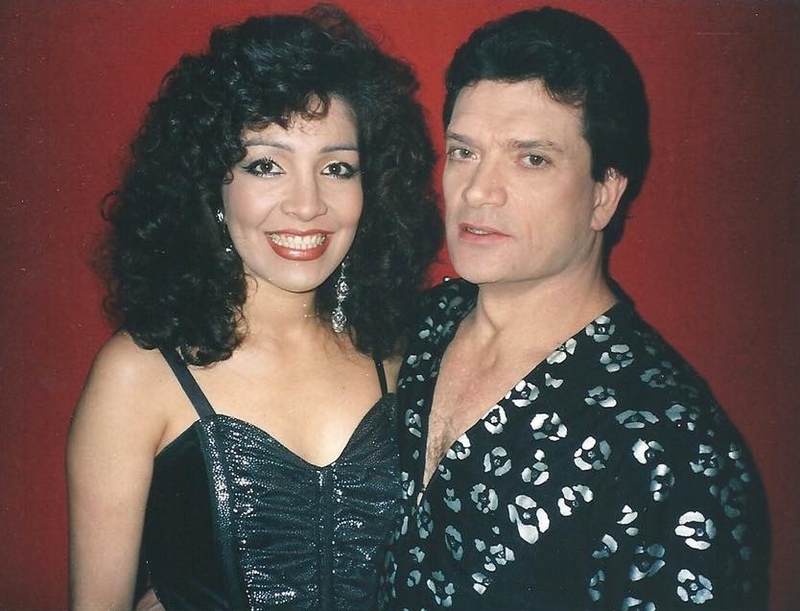 Montego played the role of Rastelli to rave reviews and was awarded the Golden Pin of Honor, becoming the youngest performer to ever win that honor. He worked in Australia, New Zealand, Japan, Hong Kong, Thailand, Singapore, Korea, the Philippines, the United States, and all over Europe, South America, and the Middle East. 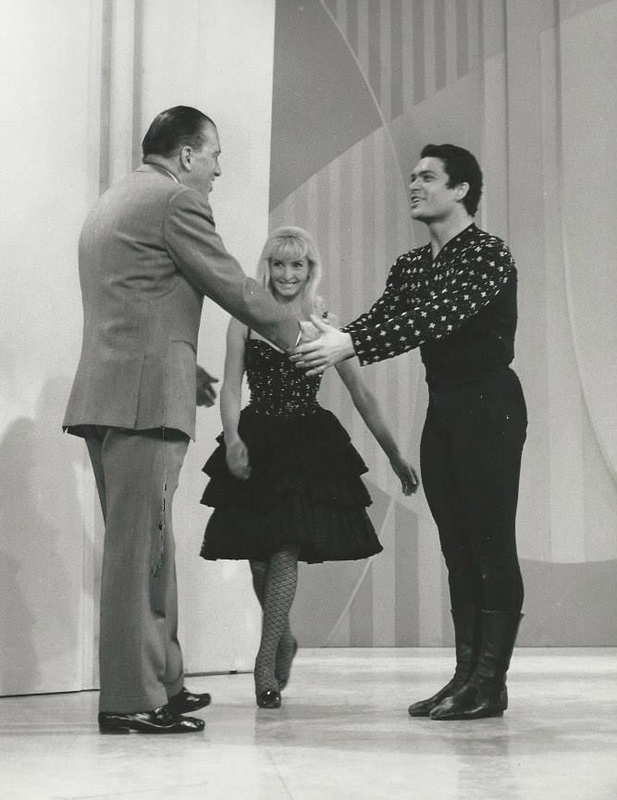 He performed at Radio City Music Hall in New York City three times and appeared on the Ed Sullivan Show several times. 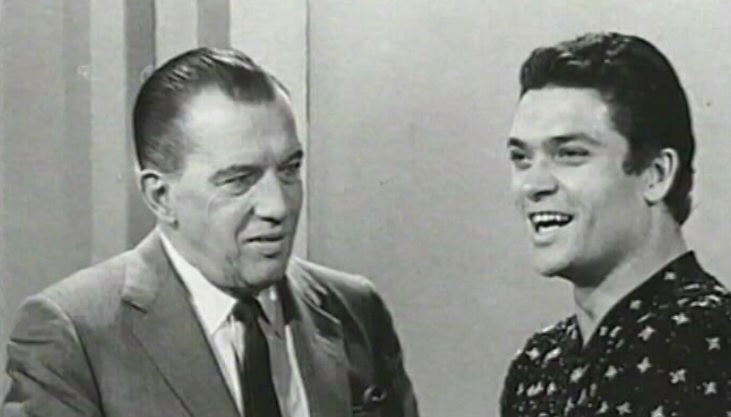 After his appearances on the Ed Sullivan Show, Montego performed in Las Vegas for two years. Annerose left the act in the early 1970s and Ernest worked with a variety of assistants or alone until he met his wife Lorena in 1985. She assisted him for the rest of his career and was his constant companion for the rest of his life. 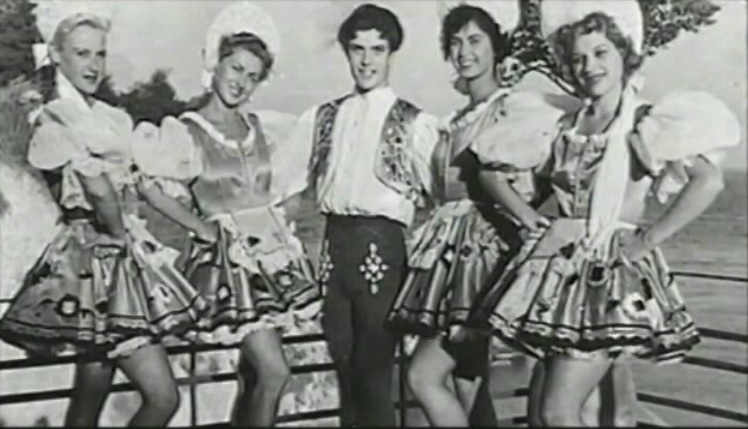 One of Ernest Montego’s career highlights was performing at the Moulin Rouge in Paris. He worked two years straight without a day off! Ernest retired from performing in 1996 but continued to keep his skills honed. He could still do the full Brunn Finish on the unicycle at the age of 66. 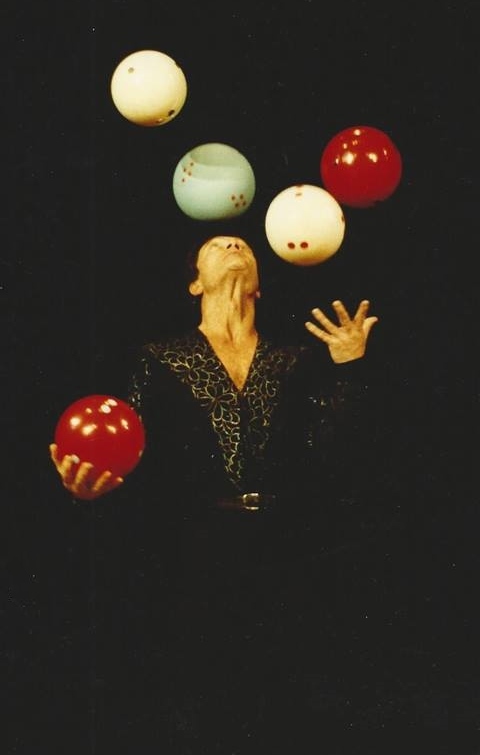 In 1997, Ernest was given the Historical Achievement Award by the International Jugglers’ Association at their 50th Annual Convention, which was held in Pittsburgh, Pennsylvania (USA). In 2003, a documentary about Ernest Montego’s life was released. It was titled Tanz des Sisyphos (Dance of Sisyphus) and was directed by Bert Schmidt. This 86 minute long film is a wonderful account of Ernest Kuhn’s life and career. It also shows his struggle to try to restart his career after 5 years of retirement. 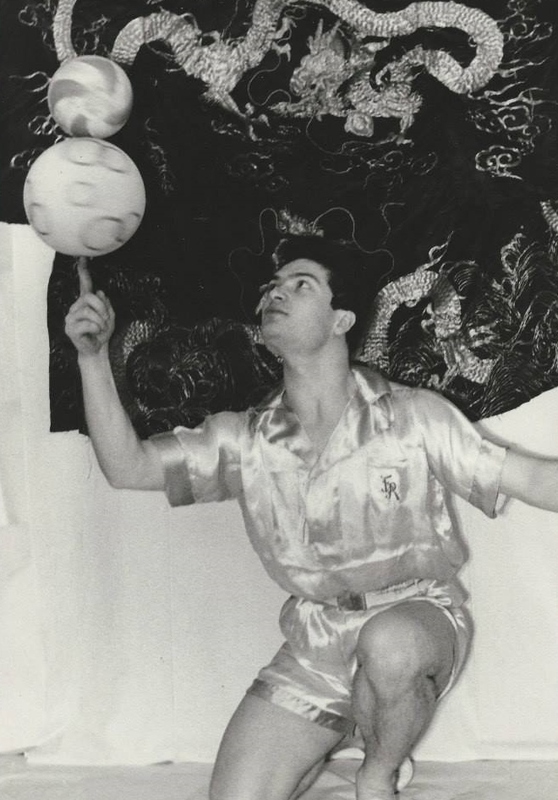 Ernest Kuhn was a friend and mentor to many jugglers, a man of great generosity, kindness, and humor, and a husband completely in love with and devoted to his wife. He passed away on April 21, 2016 at the age of 79 following a battle with cancer. 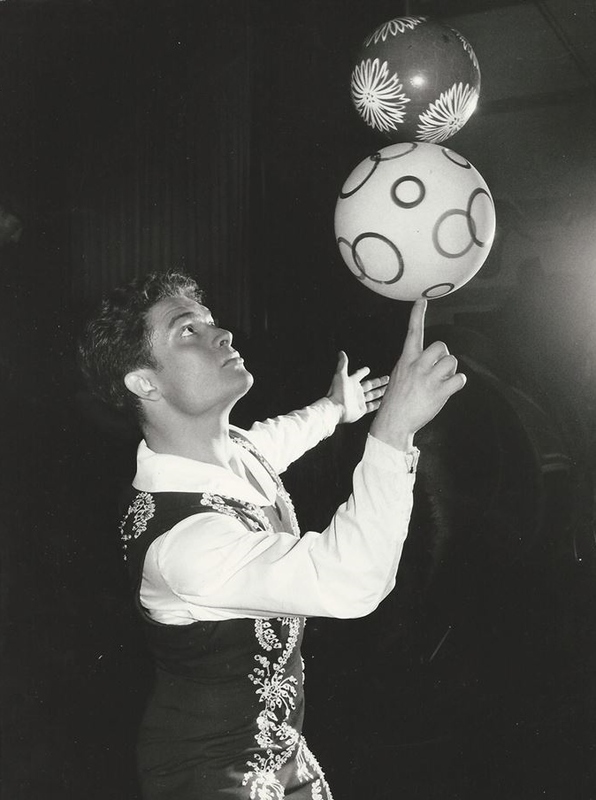 The juggling world has lost one of its brightest stars. 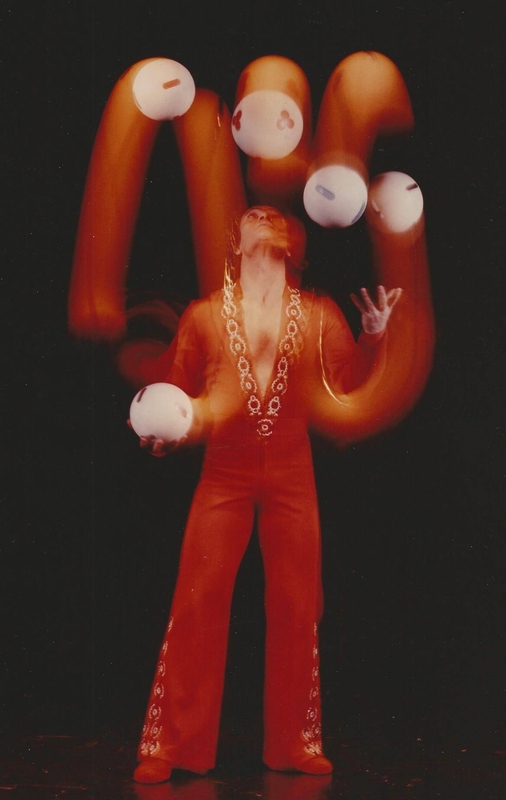 As a juggler, he was a perfectionist in practice, almost always flawless in performance, elegant in movement, and unmatched in technique. 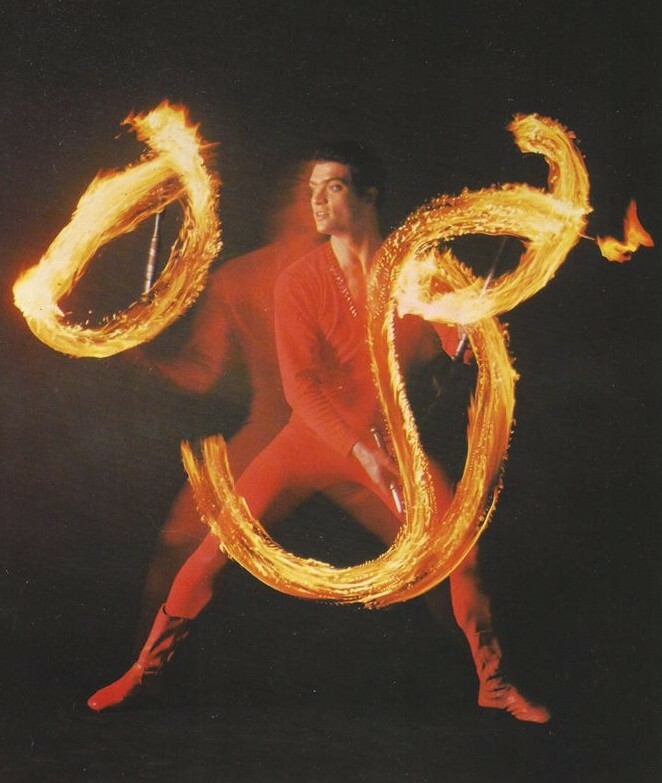 Below are more videos showing his incredible act from throughout his career. Thank you, David. Great piece. Very Nice Tribute David. Good Job!